The British Pound appreciated against the US Dollar, following UK Average Earnings Index release on Tuesday at 08:30 GMT. 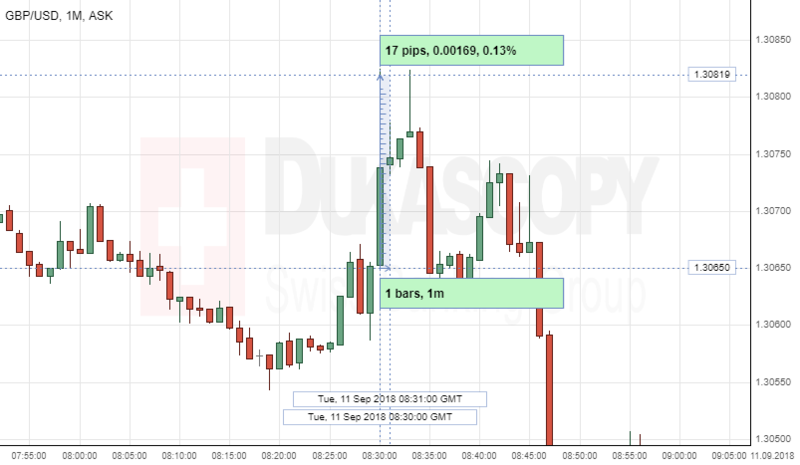 The GBP/USD exchange currency rate gained 17 pips or 0.13% during a minute, right after the release. The Office for National Statistics released the Average Earnings Index 3m/y better-than-expected of 2.6% compared with forecasted 2.4 %. The Index shows the change in the price businesses and the government pay for labour, including bonuses. David Freeman, the ONS head of labor market statistics said: "With the number of people in work little changed, employment growth has weakened. However, the labor market remains robust, with the number of people working still at historically high levels, unemployment down on the year and a record number of vacancies. Meanwhile, earnings have grown faster than prices for several months, especially looking at pay excluding bonuses."